Despite the widespread expectation that academic leaders participate in fundraising at their institutions, many administrators feel poorly prepared for development work. After all, they rose to their positions because of their success as teachers and scholars, their record of good management skills, and their ability to mix attention to details with an appreciation for the “big picture” of an institution’s needs. They often feel uncomfortable being placed in a position where, they presume, they will need to go “cap in hand” to solicit funds from donors who may not be all that willing to provide them. In candid conversations, many administrators will rank “asking a donor for money” second only to “firing someone” as their least favorite task. Is there any way, then, to make this activity less unpalatable for people who don’t enjoy development activities? What do you need to know about fundraising if the idea of asking people for money makes you nervous or uncomfortable? Development involves much more than simply asking people for money. The first step is to realize that although we often use the terms “development” and “fundraising” as though they were identical, they really aren’t. Development involves a wide range of activities that create closer ties between individuals and an institution. Sometimes those ties are forged by financial contributions, but many times they are not. If you do not feel that you can effectively solicit others for funds, it might be possible for you to play an active role in development efforts in other ways. Certainly, you are in an excellent position to discuss the strengths, vision, and needs of your individual area. Perhaps you can form a team with a development officer; when making donor calls, you can bring the excitement of all the great new achievements of your faculty and students, while the development officer actually makes the request for the funding that will permit you to build on these successes. Or perhaps you can outline how your area could be transformed by a major new project such as an additional facility or an endowed scholarship fund, while the development officer outlines the ways the donor can make a gift that will help achieve that vision. In other words, one alternative for academic leaders who hate to ask for money is to participate in development activities that do not require them to do so. Your role can be that of the visionary leader or the public face of the institution; a trained development officer can be the individual who actually presents the request for funding. The “ask” should come only at the end of a suitable “cultivation” process. Even if you do find yourself in a position where you must make a specific request for funding, you should realize that asking people for donations is not the purpose of every development visit. In fact, you are far less likely to be successful with fundraising if you proceed immediately from “hello” to a solicitation than if you take some time to get to know the prospective donor, find out what that person’s philanthropic priorities are, and explain the full range of your area’s most important needs. Each “cultivation period” is different. With certain donors and for certain large projects, you may meet frequently over the course of several years before a formal request for a contribution is actually made. With other donors or for smaller projects, you may simply have an initial meeting to introduce an idea and a single follow-up meeting to secure funding for that idea. The point is that it is a poor practice to solicit donors for a contribution at the very first meeting or immediately after discussing a new idea. The prospective donor will almost always need time to reflect on the project being proposed, consider what might be possible in light of his or her current financial situation, and discuss the matter with family members or a financial advisor. So you should not view the fund-raising aspect of development work as nothing more than making requests for money. Frequently, numerous discussions take place before the actual “ask” occurs, and that moment should never arrive without the donor being fully prepared. If you are unlikely to be successful in soliciting this particular donor for this particular purpose, you’ll notice indications of resistance long before you actually make your request for funding. Many donors expect to be solicited for funds and will indicate when they are ready for a request to be made. For this reason, you should not think of your development work as persuading the unwilling to yield to an unwanted request. On the contrary, you are providing someone with the opportunity to fulfill a desire to make a difference in the world. Because of your cultivation visits, the donor will understand your values, the significance of the project that you’re proposing, and what his or her potential role in the project might be. Such a donor is highly unlikely to say no when you ask for help in achieving an important goal. A refusal is not an insult or an indication of failure. Most important, if a prospective donor does say no when you make a request for a contribution, don’t take it personally. The donor may simply have other philanthropic priorities at the moment or may not have access to funds for your request. Most negative responses, you’ll learn, are not absolute no’s but statements more like “not at this time,” “not at this amount,” or “not for this particular purpose.” Elmer G. Leterman published a book in 1967 titled The Sale Begins When the Customer Says “No” (MacFadden-Bartell). The same principle can be applied to development work. 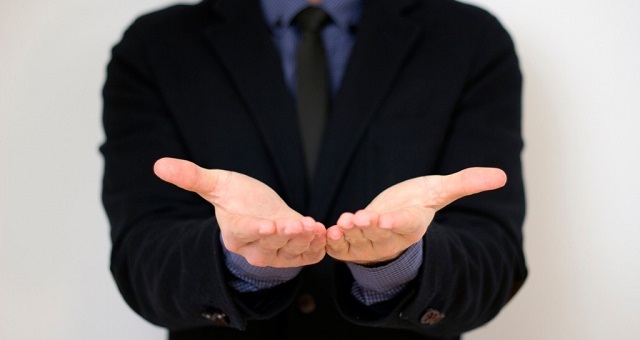 When a prospective donor turns down a request, there is no need for the conversation to end. On the contrary, it is then time to find out other ways of engaging the donor in the important work of your area, perhaps through a different type of gift or through work on a committee, advisory board, or council of experts. The donor might be able to provide you with an introduction to someone else who is more interested in the project you have proposed. Or you might receive constructive advice on how to make your proposal more attractive to other potential donors. In no way was your investment of time wasted on this particular contact, and the person’s refusal certainly does not mean that you have done anything wrong or that the project is not in itself worthwhile. There simply is not a good match between this individual and this particular project. Now is the time to seek a better match. Jeffrey L. Buller is director of leadership and professional development at Florida Atlantic University and senior partner in ATLAS: Academic Training, Leadership & Assessment Services. His latest book, the second edition of The Essential Academic Dean or Provost: A Comprehensive Desk Reference, is available from Jossey-Bass. Reprinted from “‘But I Hate Asking for Money’: Development Tips for Academic Administrators” in Academic Leader 23.8(2007)1,6 © Magna Publications. All rights reserved.